Made of 100% genuine aramid, a high-tech luxury material for body armor, aerospace, supercars, etc. Wireless charging friendly. Wireless PowerShare Friendly. Zero signal interferences. Metal plates inside to be compatible with PITAKA MagMount (Qi) without sticking metal plate. Pocket-friendly. A slim profile of 0.85mm only. Ridiculously durable. Never get color fading, barely wear and tear. Extraordinary scratch resistant, grippy but non-slippy coating. Pocket-friendly. A slim profile of 0.85 mm only. Minimum. Weight 14g. Enjoy your "almost naked" Samsung Galaxy S10E with a case thinner than a 1 cent coin. 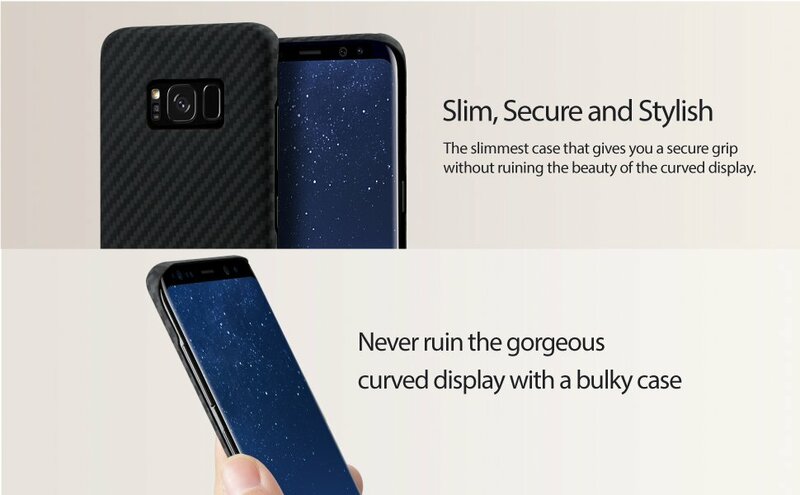 Yet, it protects your Galaxy S10E from drop in everyday life. Exclusive Material. Slim Fit and Sensuous With "Body Armor Grade" Protection and ZERO Compromise, made of 100% Aramid Fiber. Now, your phone is protected with the same material used in body armor, spacecraft, jet engines, and Formula 1 Race cars. Yet, it retains the thinness of your Phone the day you purchased it -- before it was covered up with an thick bulky case. Wireless charging friendly. Bring you the best carrying experience and wireless charging experience by using with magnetic PITAKA Phone Holder (Magmount Pro Series), the unique transit free design with metal plates inside makes you can use PITAKA Phone Holder freely without sticking adhasive metal plate on your S10E. Yet,no interference to your wireless charging,WIFI,GPS or your signals. A Soft 3D-Grip touch.Texture you need to feel to believe. It almost clings to your hand without feeling sticky. Extraordinarily scratch resistant and non-slip. A protective three-layer coating and manual polishing is applied to each phone case. Now feel confident carrying your phone in purse or pocket along with keys and coins. Fits your phone perfectly. Our secret process for vacuum forming technology ensures the cases are perfectly formed to the phone size. Easily and naturally access all buttons and ports. Each opening is not only accurately aligned, but also at natural "surface level". 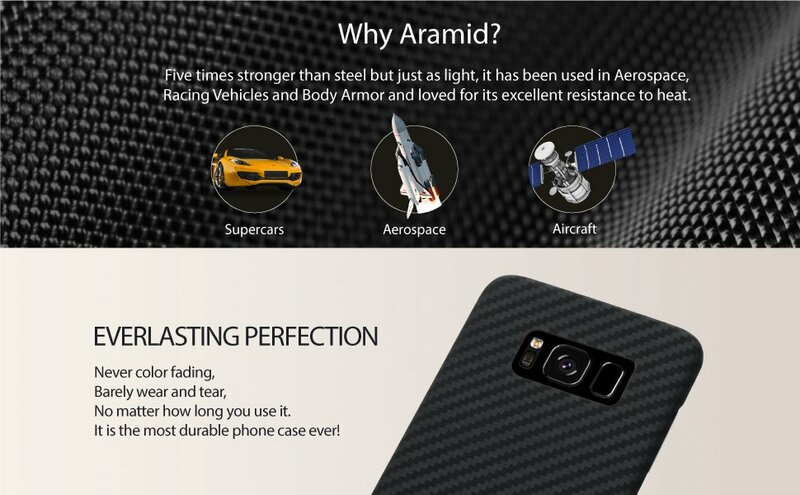 Made of 100% aramid, a high-tech luxury material for body armor, aerospace, supercars. Elegantly designed for the curved display of S10E. No interfere with the curved display nor any buttons. All PITAKA phone cases are warranted to be free from defects in materials and workmanship under normal use for a period of 2 months from the date of purchase. Warranty is valid only with the order number and matching email address. The purchase of any PITAKA product via a third party vendor will be covered by our warranty policy.